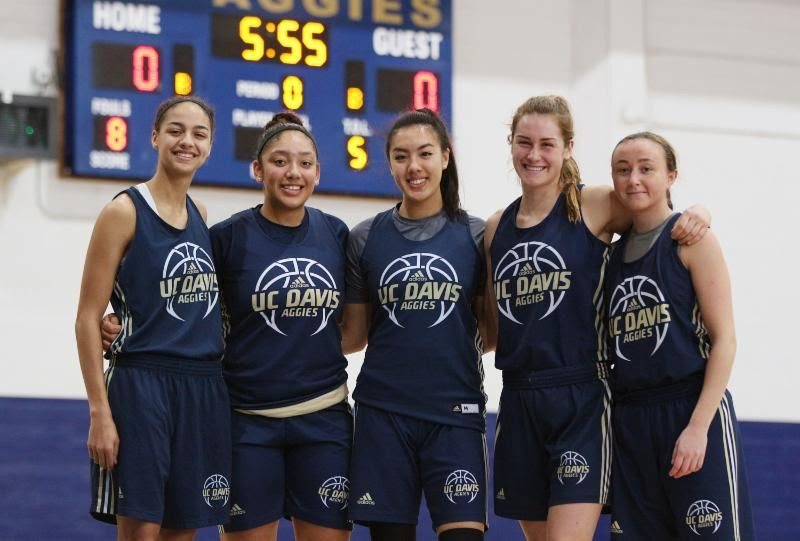 You are invited to join Dean Mark Winey and the College of Biological Sciences at the UC Davis Pavilion to cheer on our UC Davis women's basketball team in their game against the University of Hawaii Rainbow Wahines. Five of the 15 players on the roster are undergraduate students in the College of Biological Sciences, including, from left to right, Cierra Hall, Makaila Sanders, Sophia Song, Kayla Konrad and Mackenzie Trpcic. UC Davis Athletics. Please come by the Special Events Room for refreshments at pre-game and halftime. Check-in at the CBS table for name tags and directions.